Hits Blunt memes have become very popular lately. As you may know, the memes use photos of black guys who seem to be high on weed and raise funny yet thought-provoking questions. 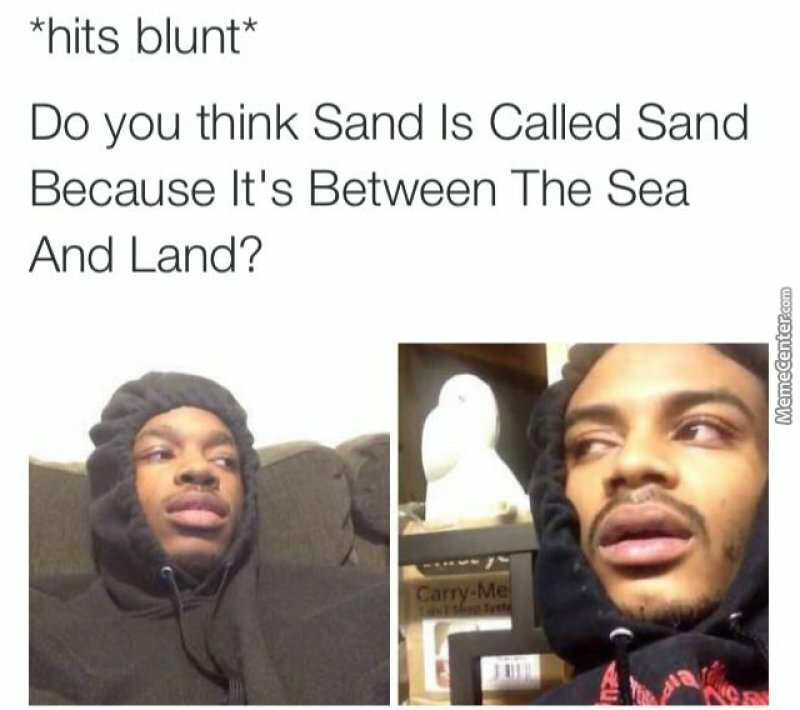 Hits Blunt memes are hilarious, and they are fascinating to read as well. 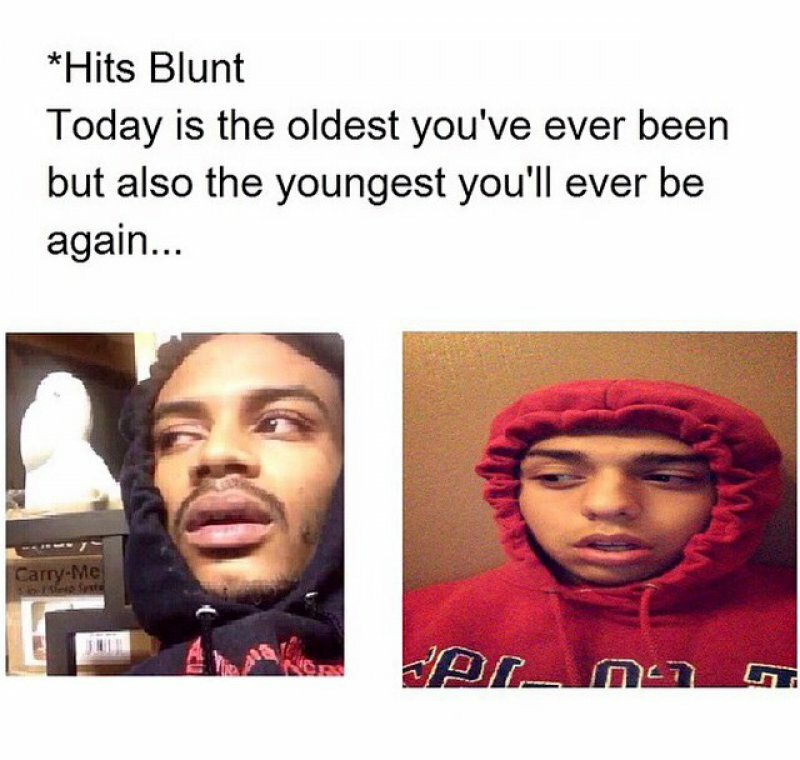 Each Hits Blunt meme has an issue that sends you into a thinking mode instantly! Those questions do sound valid when you first read them, but most of them are very silly. 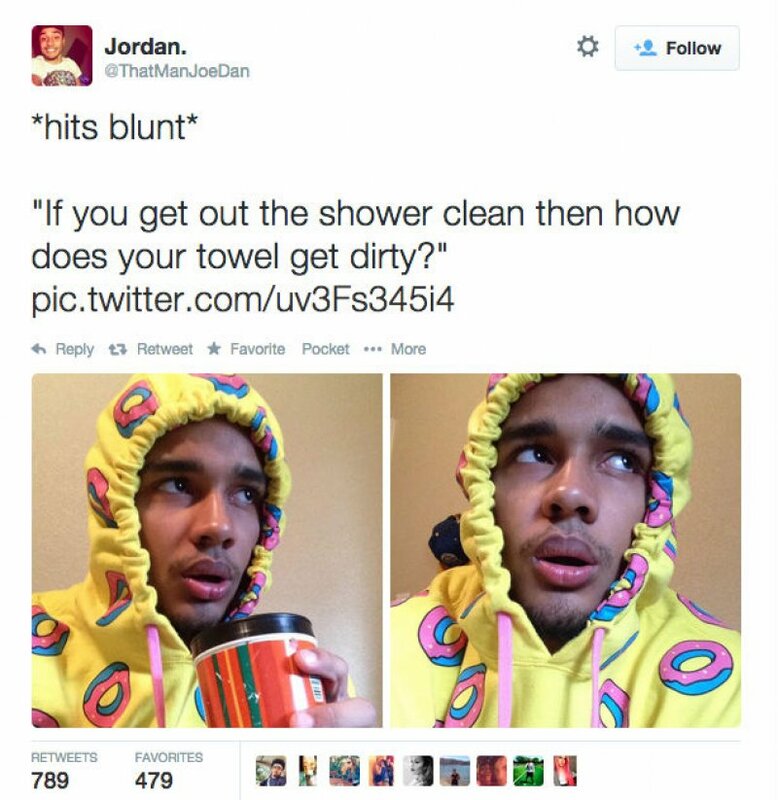 Check these 12 hilarious Hits Blunt memes. 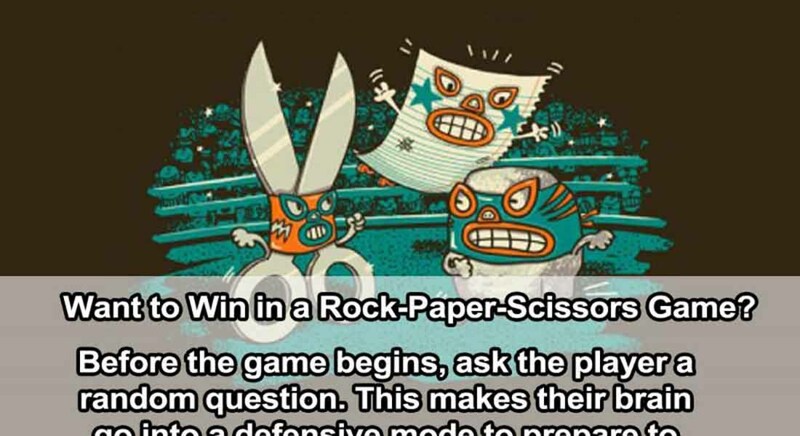 Bonus: All those tricky Hits Blunt questions have been answered! "Do you think sand is called sand because it's between the sea and land?!" That's a hilarious question! Hey, but sand exists on the banks of oceans, rivers, lakes, and many water bodies as well. Hence, that isn't the reason behind the etymology of the English word, "sand." Since English is a West Germanic language, many of the English words have deeper roots to the German language. Interestingly, "sand" is called "sand" in German as well. 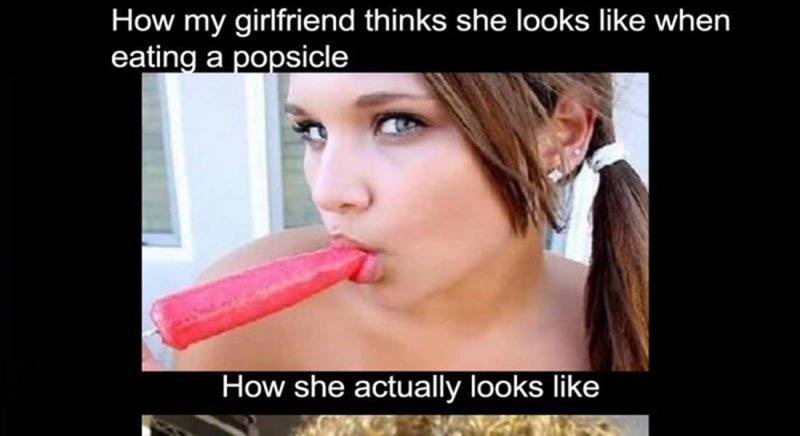 A hilarious Hits Blunt meme, nonetheless! "Today is the oldest day you have ever been but also the youngest you will ever been again!" That's right, and the meme just screws up your mind if you think about it too much! Oh man, time keeps ticking! Weren't we all kids just a few years ago? Sadly, all of us will become old and die eventually. *Hits blunt* Where are we heading after we die? 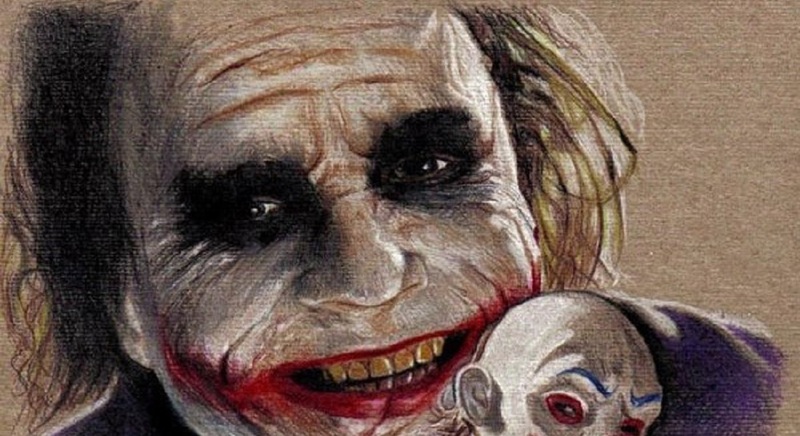 Unfortunately, we were born at a time when we have technology that can save our lives but can't figure out what death exactly is. The next couple of centuries will be fascinating! 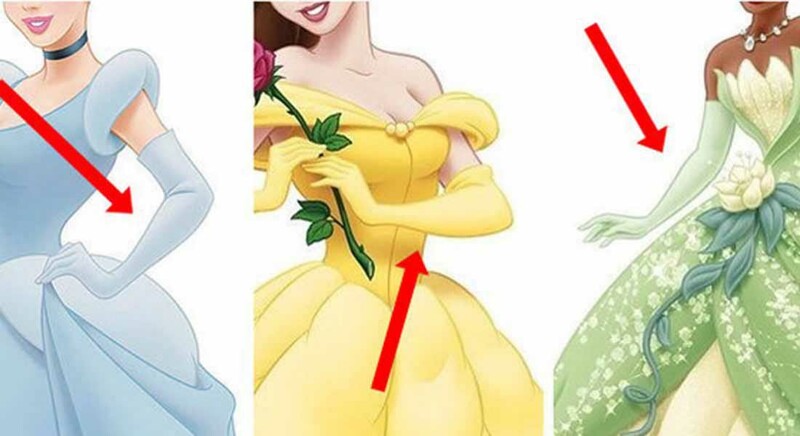 3.How Comes Towels Get Dirty? "If you get out the shower clean, then how does your towel gets dirty?!" 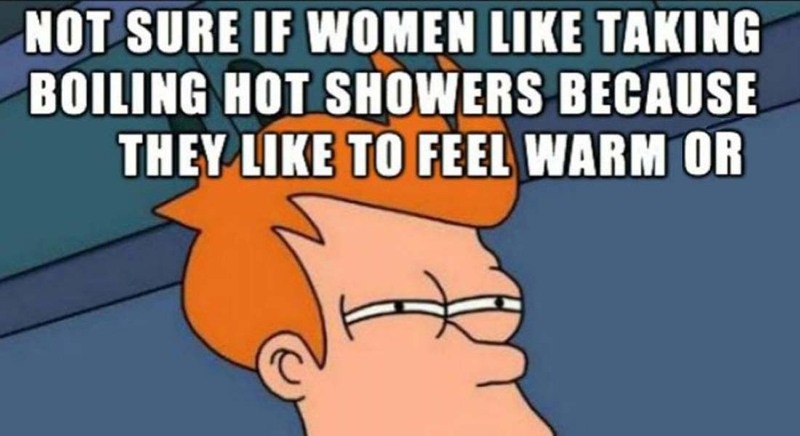 Does that mean you are not showering properly? Um, no, not at all! Bath towels don't get dirty because you have dirt on the skin but become grimy because of the moisture inside it. A wet towel is an ideal place for mold to grow and microbes to thrive. If you don't wash or dry it immediately after a bath, they are going to stink by the time you use it again. If you reuse that dirty towel, you may end up exposing your skin to the bacteria.